Photo Booths are so in right now and what I think are probably one of the most fun things in this world! Last weekend, for my 21st Birthday I think I spent about 50% of my night in the photo booth, taking some funny and great shots with my friends party guests. Although some props were provided as a part of my photo booth party package, I decided I wanted to get creative and make my own customised ones too, something that was unique to me and my birthday. I decided to design my own props for free using Pic Monkey and after printing them, mounted them to cardboard and cut them out. I used an Xacto Knife to cut any hard to reach areas and then used a hot glue gun to attach the cut outs to wooden skewers. Perfect, customised Photo Booth props! I used these FREE PRINATBLES from Hip Hip Hooray and also some of my own which you can DOWNLOAD and customise for FREE, here. Both the Photo Booth and props went down a treat during the party and it seemed like everyone was having a ball in front of the camera and I could not have asked for anything better. I'm so happy that I decided to make my own customisable props as they were definitely unique to me and I had family and friends also commenting on the fact that one of my props said 'Bless', a phrase that those closest to me know that I use far too often! Ha! 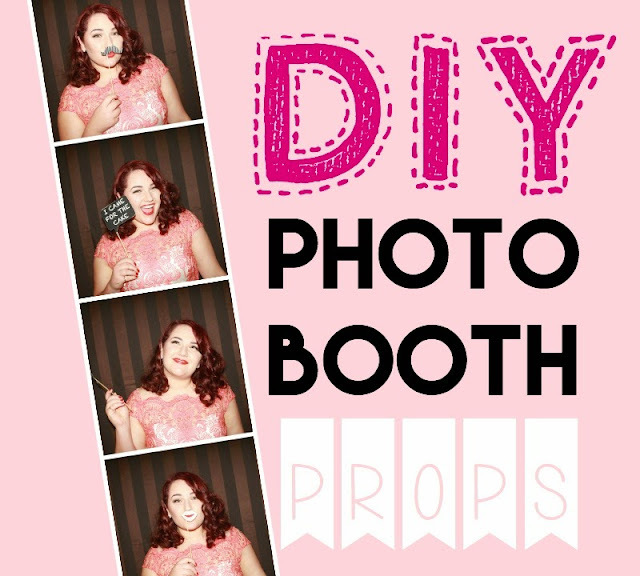 Have you ever had a photo booth for your party/ wedding/ event? What was your experience? I've still got some Birthday posts up my sleeve, but you will have to wait until Sunday for that! I hope you're all having a lovely week! Love this idea! Would never have thought to use Pic Monkey for this. Will definitely keep this in mind for my next gathering. Pic Monkey is great for designing your own stuff- I swear I spend 99% of my time on that website playing around with features! ps. great DIY job on the props! Haha aww thank you so much Gabrielle!